It was mid November 2004 when the UK first saw the beginnings of what we now know as the 2007 UK smoking ban. The ban had huge effects on the UK bingo hall scene, and it’s argued that this played quite a big part in the demise of many much loved local bingo halls from then on. There had been growing concerns across the country over the years into the negative effects of second hand smoke and links to passive smoking and cancer, plus customers simply wanted to enjoy going out to restaurants and pubs etc, and enjoy the experience without being surrounded by cigarette smoke. In 2004, a public health white paper first proposed a ban in almost all public work places across England and Wales to begin with. This then coupled with customer complaints and concerns, encouraged the government to take action across the coming years. 2005 saw a complete ban in TV advertising throughout the tobacco industry, and in 2006 the UK Health Act made its first propositions to bring in the ban officially the following year. A lot of premises had already taken it upon themselves to ban smoking already due to the general feedback from their customers before 2007, the first being the huge pub chain Wetherspoons who introduced a ban in 2006. When the official ban did then eventually come into play however, that’s when the real impact on the UK bingo halls began. A study once showed that approximately 63% of all players who visited bingo halls smoked, so it’s no surprise really that many clubs then went on to sadly close their doors for good. Why Was The UK Smoking Ban Introduced? Controversy over the negative effects of tobacco and smoking began back in the early 1970’s, and companies fought campaigns against the use of their products for over 30 years before a ban was eventually introduced. The main concern was always that of second hand smoke and passive smoking. This is the inhalation of smoke by people other than the “active” smoker, and studies began to show the links to many diseases such as cancer, heart disease, disability and even death. People were becoming more aware of these risks as the years went by, and suddenly they didn’t want to be socialising or spending time in smoke filled environments anymore. There were quite a few premises and businesses that took it upon themselves to ban smoking amongst it’s patrons already, and then in 2004 a public health paper proposed the idea of an official ban across all public work places in England and Wales. Smoke free laws then came into play from 2007 onwards across all restaurants, bars, nightclubs, transportation and certain public spaces then across the UK. This law obviously then also affected UK bingo halls, and lots of people stopped or cut down their visits, at the inconvenience of then having to smoke outside. Media suggested in 2010 that the government was set to review the smoking ban due to claims that it was crippling Britain’s £60bn a year pub and bingo industry. The government however soon dismissed this, and on the 30th June 2010, the recently formed coalition government announced that it would not be reviewing the ban. 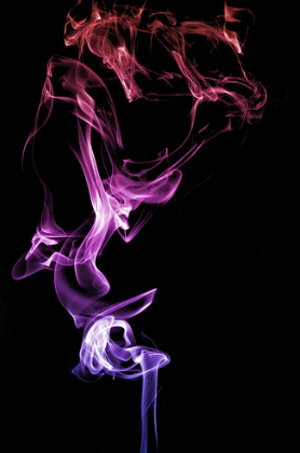 2004 – A white paper document was created suggesting a smoking ban throughout all enclosed work places across England and Wales by 2008. 2005 – A ban was put on all TV advertising of any kind associated with the tobacco industries and cigarettes. 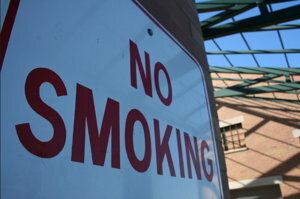 2006 – The smoking ban was slowly phased in, beginning with all NHS and government buildings. 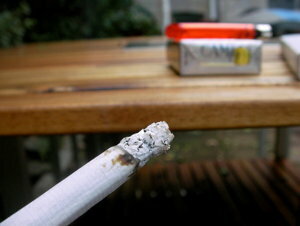 Then a smoking ban was introduced in Scotland on the 26th March 2006. 2007 – A smoking ban was introduced into Wales on the 2nd April, Northern Ireland on the 30th April, and then finally in England on the 1st July. The law took approximately 3 years to be fully put into practice, and it’s almost difficult now over 10 years later to imagine how things were before the smoking ban ever existed. As mentioned before it did have a huge impact on the UK bingo hall scene, and lots of clubs really suffered resulting in them closing down altogether. It’s not to say that the smoking ban was the only reason this eventually happened, however it did play a huge part as a huge majority of bingo hall players were smokers. After 2007, lots of local bingo halls were forced to shut their doors after the smoking ban came into play. The ban led to a decline in players visiting bingo halls because they could no longer smoke whilst playing bingo indoors, and over 63% of players at the time were smokers. Instead players would now have to keep nipping out into the street to have a cigarette, and this reality soon hit home when it was winter, freezing and pouring with rain. Lots of the smaller clubs closed up and down the country within months, and even some of the biggest bingo giants around were also affected too. 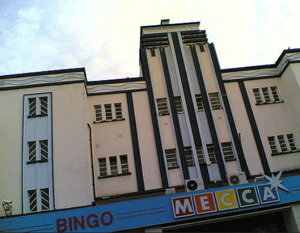 Even the likes of both Mecca Bingo and Gala Bingo struggled, and many of their former popular clubs were shut down over time. In 2007 one of Britain’s biggest bingo hall owners the Rank Group, announced that nine of their bingo halls will be closing due to the ban. These halls were Mecca Bingo branches all across England and Wales. They said that the closures were in line with its aim of “improving the quality of its clubs” ahead of the smoking ban that was being introduced that same year. They added that the closure of other bingo halls were inevitable and other companies would soon follow suit and that unfortunately these closures would mean significant job losses too. 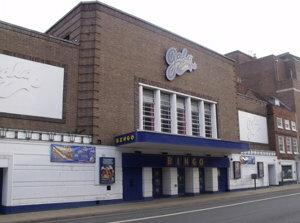 Neil Goulden, Gala Bingo’s chief executive, put a figure on the number of bingo halls which were likely to close because of the smoking ban at 12 or 13. However that initial number of closures within the group did rise. In February 2008, a Gala Bingo in Scotland was forced to shut its doors for good after a staggering 80% drop in the number of players who used to visit the bingo hall. Gala Bingo in West Granton used to house on average 8,000 bingo customers every week, but those numbers eventually plummeted to an average of 1,500 a week when the smoking ban came into effect. The smoking ban caused quite the controversy amongst players within the bingo hall community. Whether people were either for or against the new smoking ban law, there’s no doubting the impact it had on the closures of local bingo halls. Players could happily smoke indoors in most areas of the club at all times, including during games. Players now had to smoke in designated areas, most of which were outside. This seemed less appealing in cold, winter months. As over 63% of bingo players were smokers, clubs were thriving as people could smoke at their own leisure throughout the night. Players stopped visiting clubs almost instantly due to the ban, and this then saw figures plummet enough to close certain clubs throughout the UK for good. Smoking was allowed alongside food and drinks services. There was no smoking allowed alongside the consumption of food and drink. Players wouldn’t have to pop in and out all time, therefore could play all games and more tickets were sold. Players would have to miss certain games throughout the night to take cigarette breaks. This then meant less tickets were purchased, and players got annoyed at missing games so stopped attending. If players were able to smoke freely, they could catch up with friends throughout the evening in all areas of the clubs. 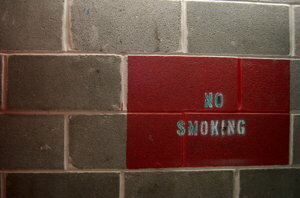 A divide sometimes occurred between smokers and non smokers, as smokers could only catch up in certain designated areas. In 2014, the UK government halved the tax on all bingo hall profits from the usual 20% to just 10%. This was in hope that it would give land based halls a boost, and attract more players back to the bingo halls. The government hoped that the bingo owners would use the increased profits to reinvest into the clubs, and then also go on to offer bigger and better promotions. The ultimate goal was to see even more players come back to the live game of bingo, and hopefully keep the tradition alive and well. A lot of clubs however still continued to struggle, and it’s hard to say whether this cut made much difference in the long run unfortunately. Did The Smoking Ban Boost Online Bingo? Bingo games could now be enjoyed in a smoke free environment. Non smokers found that their clothes no longer smelled of smoke on returning home. The clubs had a much fresher and cleaner feel throughout. The smoking ban encouraged lots of smokers to quit smoking altogether. Another positive outcome that came out of the smoking ban, was the huge sudden growth in online bingo. 2004 saw online bingo really take off, and it’s safe to say that the vast majority of players were swayed to this new form of gaming due to the smoking ban. Why go to a bingo hall where you’re not allowed to smoke, when you can stay at home and smoke whenever you like. Online bingo operators in the UK reported an 80% increase in player numbers shortly after the smoking ban was enforced, which shows a strong link between the smoking ban and players choosing to play online. Bingo from the comfort of your own home. Eat, smoke and drink whenever you like. Hundreds more players, which meant lots more prizes. Welcome offers, plus tons of monthly bonuses. The chance to connect with people all over the world. Is Online Bingo To Blame For Bingo Hall Closures Or The Smoking Ban? The introduction of TV services including Netflix, Sky, Amazon etc, encouraging people to stay home more often. Advancement in smart phones and app technology. Social media and online advertising. The cost of going out for an evening. Online bingo was suddenly so much more convenient, allowing people to play for as long as they like from their own homes. Then soon after mobile bingo was introduced, this gave players even more chance to play their bingo games on the go. I think it’s safe to say that the 2007 smoking ban really did have a huge impact on the UK bingo hall scene. It meant that players who smoked could no longer do so inside whilst playing bingo, so therefore people stopped going as regularly resulting in club closures all over the country. The positive outcome of the ban however, was that non smokers could now enjoy playing bingo in a smoke free environment. Some players even quit smoking altogether, and the ban also encouraged a huge rise in online bingo gaming too. This exciting new industry suddenly rocketed into success, and grew and blossomed into the online bingo community that we now know and love.